With all of the see-sawing, what are we to believe? Here is a great article on Yahoo! News about Obama's long-term strategy in winning delegate support thoughout the states' primaries. This effort was mastered in large part under the direction of Jeffrey Berman, Obama's national director of delegate operations. Check out this very enlightening article. We're almost there. Barack Obama has the majority of the available delegates in his column. Although he has't declared victory just yet, the ending of this story is inevitable. Today he received additional endorsements from CT's Rep Joe Courtney and the United Mine Workers of America. He's only 62 delegates from the nomination. We're almost there! Update: Done! This book was sooooo good! 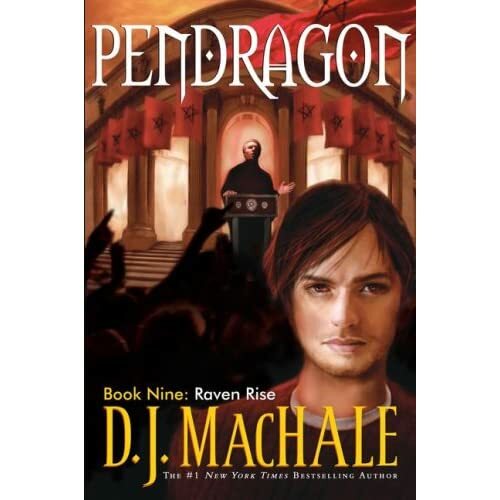 I can't wait for the Pendragon finale! The Ultimate Traveler Showdown! ...she's not so great at hiding her own cards. This article is an interview with radical left-wing lawyers and members of the American Communist Party that worked at an office where Hillary Clinton interned in the Summer of 1971.
author and self-described friend of the Clintons. It's one of the two major endorsements that we've been waiting for. (Al Gore's is the other!) John Edwards has finally decided to make the move to endorse Obama for President. This, carefully planned after a landslide loss in West Virginia, not only takes the spotlight from Senator Clinton, but also increases Obama's stock with working-class whites, an area which Clinton and Edwards have both previously dominated. Is Edwards setting himself up for the Vice Presidency? I certainly hope so. This is the ticket I have been dreaming of for months now. This would be a great uniter for the party and John Edwards brings the same down home honesty that Obama brings. 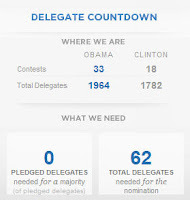 As of 11:30 am on May 15th, Obama is only 133.5 delegates away from the nomination. And if Edwards' supporters follow suit, he will be that much closer to clinching the nod. Thank you, John Edwards. Let's get this dream ticket rolling! On Friday, Darryl and I are going to Las Vegas to celebrate my 40th birthday. (40!? Wow!) But I am so excited about going. No idea what to pack or what to wear but it usually all comes together in the end. ...at Churchill Downs, where a tragedy on the track probably left some political observers fighting the temptation to make crude jokes about the irony that Clinton picked to win, place and show a horse that had to be euthanized after breaking both front ankles. Eight Belles, the only filly in the race and Clinton's choice because she was a female, finished second in the Kentucky Derby before collapsing on the track. Big Brown, the winner, was picked by Obama to show. Goodness. Check it out. The truth is out there if you know where to find it. Here are a list of reasons, in black and white (and color) why Barack Obama should be the next President of the United States. Click HERE if you want to know the truth about The Clinton Chronicles! Last night Lauryn and I went to a Sushi 101 class at our local Benihana restaurant. Anyone who knows Lauryn knows these two facts: a) she loves to cook, b) she loves Sushi. Put the two together and she is in her glory. So Darryl signed us up and we had a ball. We got an overview of the history of Sushi in Japan, the proper etiquette when you are at a Sushi Bar, some great Japanese phrases, how to make good quality sushi rice, and then we had a hands-on lesson on how to make a California Roll, Banihana style. We returned to our tables and Chef Tony judged our rolls. Guess who the winner was? My own personal Resident Chef, Lauryn! Out of all of the adults there (and only two kids) she was the winner! I was so proud of her! She said, "It was so easy, I must be a natural." I completely agree! She won a gift certificate for a complete Sushi dinner for two. She said she's going to bring her Dad back since it was his idea to sign us up in the first place. What a wonderful night. We learned a lot, ate well and are now comfortable with making our own Maki rolls.